Dries van Noten was faced with a dilemma ahead of his recent Spring 2018 menswear show, his selected venue cancelled three weeks before the show date. Show producers absconded to the eight-floor of a functioning car park, the former office of left-wing Parisian newspaper Libération. Swapping stucco and high ceilings for a disused office block with paper-stuffed shelves, the atmosphere was ever more relaxed than the highfaluting glamour we’ve become accustomed to. However, that isn’t to say the change was in any way enervating, perhaps it invigorated Van Noten’s output. Colour or texture? Colour or texture? The starting point for the Belgian designer was colour this season. The colour descriptions were widely reported, they ranged from ‘smoke’ to ‘bark’ to ‘tobacco’. They were all slightly off, dark and particularly subdued. Notably, they looked like the colours of an old photo evanescing in direct sunlight. Warped hues and their simplicity aside, there is a deeper, more poetic meaning to be ascertained. Dries van Noten is a keen proprietor of preserving luxury with expansive fabric research, delectable palettes—he undertakes the responsibility of heightening normality but not in the clinical way of Demna Gvasalia or the scientifically poetic fashion of Craig Green, his is determinable by its inclination to find the highest point of beauty. His pared back aesthetic may not be to the liking of everyone but his work can be wholly irresistible. A tobacco-hued blazer for example: he manages to create an air of exoticism around a colour best avoided for its dullness. An insect green sweater, a heavily-embroidered mustard shirt and taupe trousers—the colours feel off but look unquestionably right. 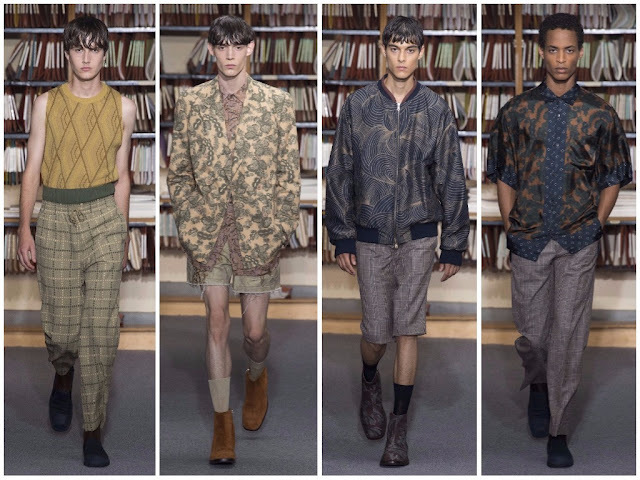 In terms of Van Noten’s oeuvre, this could be considered his most subversive outing to date. ‘Off’ isn’t usually a word ascribed to his creations. Generally, it’s just an observation on his innate poeticism and appreciation for the finer things in live. He generated a laudatory response but for different reasons this time around—it was his travelling eye, his ability to transform the not-so-beautiful into something that was a feast for the eyes, albeit one that required time to warm to. It is rare for an elaborate flower-power combination, in incongruous shades of gold and wood green, to capture my attention and for it to be effortlessly winsome. The venue switch up proved complementary to the season’s recurring motif: the coexistence of casual wear and workwear and where the two styles of dressing intersect, a meditation on how they mingle with one another. 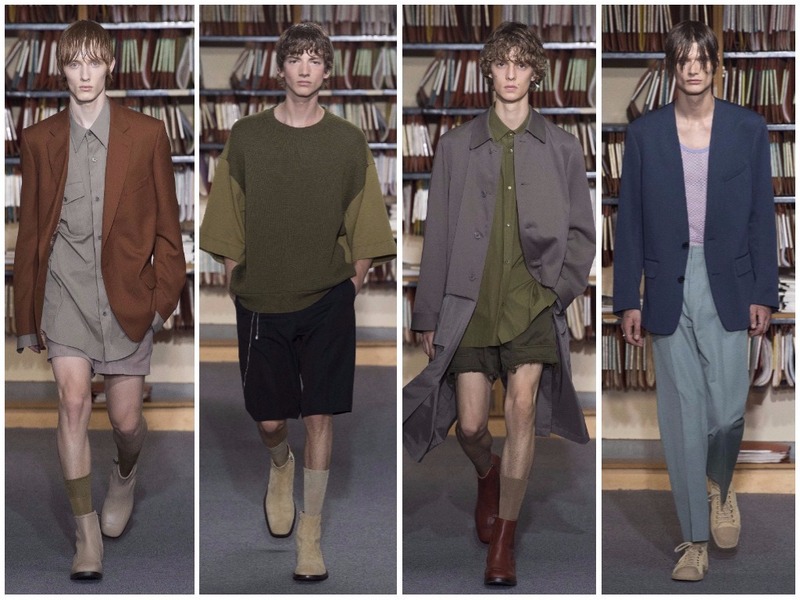 This show had the businessman’s staples down—tailored trousers and fine suiting—but it was auspicious also in the more casual areas—summery shirting and thigh-grazing shorts. Perhaps it was the new environment that cemented the mastery of this collection or perhaps Van Noten is in his prime—although, isn’t he always?